I struggle with finding balance in my life. I’m driven, performance oriented and competitive. Those traits don’t mix well with balance, but I understand that without balance in my life, I tend to focus on the urgent and forget to take care of the important. I’ve heard someone say recently that balance is overrated. Throw caution to the wind and, as the romantics would say, “carpe diem.” But what a balanced life ultimate offers all of us is the ability to look soberly at our circumstance as well as to where we are headed. Balance tells us that we are working too hard, or neglecting loved ones, or that we are not spending enough time and resources to those who cannot help themselves. A balanced person looks at the dashboard of his or her life where the physical, emotional, spiritual and relational gauges tell a complete story. It’s easy for me to go full throttle on performance-driven areas of life life professional and even physical and neglect the others. But we were created to live balanced lives and when we don’t, there’s always a price to pay. Often it’s a much greater price than we ever thought. Jon, saying no to our church and to those who need our help as Christians is a very tough thing to do, but is sometimes the right thing. While we should live beyond ourselves and find a place of service within a local church, our first priority should be to our family, not our church family. I used to be on a church staff years ago, and I must say when I was desperate to find volunteers to fill the gaps in ministry, I was not as concerned with their personal lives as I should have been. No one should have your best interest in mind but yourself. 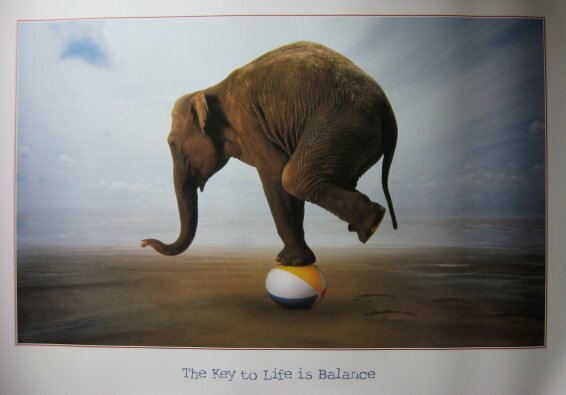 We need to make sure we don’t abdicate our responsibility to find balance. I try to create balance in my life by reading books and blogs that address each of the main areas of my life. That way I’m always reminded and focused on working on a specific part area. That’s a good strategy, Jeff. This post is about my life’s greatest quest. It’s the reason why I have a standing appointment with my therapist. Setting proper boundaries is how I’m working to achieve proper balance. GREAT POST. Much like you, I find myself “driven, performance oriented and competitive”. Balance is hard. More and more, I believe that achieving balance is a myth. These days I’m tending to think more in terms of prioritizing my time and then managing the time and energy that I invest in those items at the top versus the bottom of the list.